Whatever your industry or experience, I’ll write you a CV that will make you stand out from the crowd and open doors for you. Send you an Information Gathering Form and a free (optional) online personality test to complete. Hold a consultation with you face to face, by phone, Skype or Zoom. Target your CV to the role you wish to apply for, with key word optimisation. 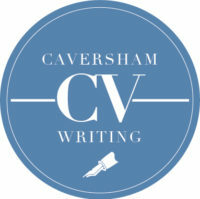 Write a draft 1-2 page CV for your review, within 5 working days of consultation/payment. This service is for people in non-professional and/or non-managerial positions. Includes a 45 minute consultation by phone, Skype, Zoom or face to face (Caversham). Includes a 1 hour consultation by phone, Skype, Zoom or face to face (Caversham). Includes a 1.5 hour consultation by phone, Skype, Zoom or face to face (Caversham). Includes a 2 hour consultation by phone, Skype, Zoom or face to face (Caversham) PLUS an extra 30 minutes call half way through the process. Not sure which service you want or have any queries? I will write you a cover letter (targeted or speculative) that is well presented, well structured and that ties in with your CV. I will write / update all parts of the profile to show off your experience, skills and education. Includes up to a 1 hour consultation by phone, Skype or Zoom. £175 (£90) for up to 9 years' experience. £215 (£105) for 10+ years' experience. £250 (£125) for senior/executive roles. I will reformat and improve the layout of your existing CV, proofread your CV, correcting any grammatical errors and spelling mistakes.